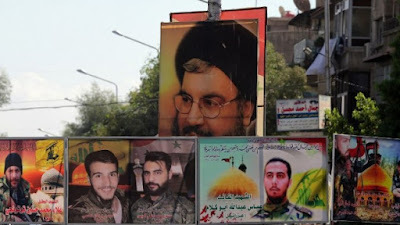 (TIMES OF ISRAEL)—Hezbollah is receiving long-range missiles, laser-guided rockets and other sophisticated weaponry directly from Russia in Syria, and is free to use that weaponry against Israel if it so chooses, Hezbollah fighters told the Daily Beast website. In a report published Monday, Hezbollah field commanders with troops fighting alongside Assad regime forces were quoted saying that they are getting "heavy weapons directly from Russia with no strings attached." "We are strategic allies... The Russians are our allies and give us weapons," said a Hezbollah officer named as Commander Bakr, who oversees some 200 fighters. A Hezbollah recruiter and trainer named Assir was quoted saying Moscow has placed no restriction on the use Hezbollah can make of Russian arms. They can be utilized "against Israel if the organization deems it necessary," the report said. "When it comes to Israel," Assir was quoted saying, "Hezbollah doesn't take directions from anyone." The Daily Beast noted, however, that it was "not clear" that Assir was "in a senior enough position to know what secret agreements have been made."